Complete your continuing education to renew your South Carolina real estate license today. All of our courses can be completed At Your Pace online in order to help you maintain your license. Once you finish your class you will have an official certificate of completion available and we will report your course completion to the SC LLR for you automatically. 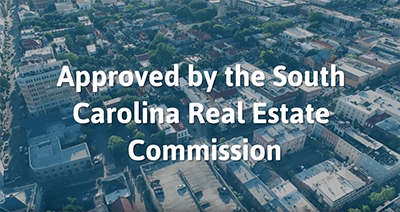 We are approved by the South Carolina Real Estate Commission (SCREC Provider # 975). South Carolina real estate agents must complete 10 hours of continuing education every two years in order to renew their license. 6 Hours of commission approved Electives. 4 Hour Broker in Charge Course. 2 Hours of commission approved Electives. This course fulfills the mandatory core requirements for South Carolina Real Estate licensees continuing education. This is for the 2018-2020 license renewal period, and completes the mandatory four hours of core material out of the ten total for license renewal. This core course focuses on the Three Ps of Professionalism and how they apply to a licensee's job. The course will explain the Principles, Practices, and Pitfalls of working with consumers, identifying potential issues, and understanding new law changes. This 6 hour package of educational content is designed to provide South Carolina real estate professionals with an overview of important topics and concepts related to the financing of real estate transactions. This package is primarily concerned with the financing of real estate transactions. This package will cover such topics as relevant lending laws, sources of funds, loans, government loan programs, and documents used in the financing of real estate transactions. This course will satisfy 4-hours of elective education for South Carolina real estate licensees. The course will cover three important areas related to the practice of real estate: TRID regulations, property condition disclosures, and flood instruction and insurance considerations. In this 3-hour course for South Carolina licensees, we'll dive into the concept of ethics, and how it applies to real estate professionals. To do this, we'll look at the NAR Code of Ethics that REALTORS® are subject to. Even those who aren't REALTORS® will benefit from this review of the code that sets the industry standard for ethical behavior. In the course, we'll talk about what ethics are, and why they matter in real estate. We'll also discuss the duties of a REALTOR® to a client, and what to do in ethically challenging situations. 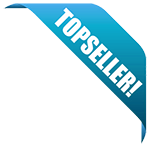 has met all the requirements of the Real Estate Commission for approval as a real estate provider.